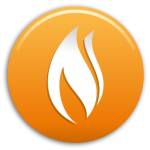 Troiano Oil Company delivers the highest quality heating oil available. Our order form allows you to choose a set number of gallons for delivery. Or, if you prefer, calculate the number of gallons based on your tank size and current reading. You will be charged for the amount of gallons ordered. A refund will be applied to your credit card for any undelivered gallons. Please give us 24 to 48 hours to apply a refund. Please note, it can take up to 3 days to delivery online orders. If you have any questions, please contact us at (860) 745-0321. Choosing YES allows the form to calculate an estimated number of gallons based on your tank size and current tank level. A standard, above ground, residential heating oil tank measures 27" W x 44" D x 60" L and holds 275 gallons. If you are unsure about the size of your tank or it's not listed, please call us at (860) 745-0321. Follow the top of the gauge, the red line or dot, to the number it is closest to. The numbers should be in fraction form like zero, 1/4, 1/2, and 3/4. If you are not able to locate/read the gauge (or gauge is broken), please call us at (860) 745-0321. Tank orientation relates to the tanks location above/below ground. Select the location of your tanks fill pipe from the perspective of a person standing in the road, facing your home's front door.